Guest Post by Jay Cutts, author of the Barron’s LSAT Test Prep book and creator of the STEPS to the LSAT program. Taking the December test but not quite thrilled with how you’ve been scoring? Join the club. Probably 90% of December test takers feel that way and yet it’s your last chance, right? Here are the facts. 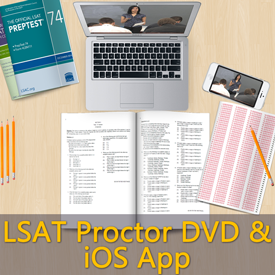 Most schools require that you have an official LSAT score no later than the December test. That means that if you do not already have an official LSAT score within the past five years, you do need to take December. As long as you get an official score for December, you can also retake the test in February. Virtually all schools will look at that February score, even though it may arrive after their deadline. They will consider it as supplemental information. Can you really add supplemental information after the application deadline? Sure! After all, if you won a Nobel prize in February, they would want to hear about that, wouldn’t they? If you are going to retake in February, you should notify your schools now in writing. Don’t email. Don’t call. Put it in writing so that it is included in your file. They will then hold off on evaluating your application until that score comes in. There are two important points you should consider to plan well for the February test. 1. Continue your studying as soon as the December test is over. Don’t wait until your score comes in! You already know from your practice tests that you’re not yet satisfied with your score. We all hope a miracle will happen on test day and you’ll get 180. It doesn’t happen. If you wait until your score comes in, you are losing valuable weeks of study time. 2. Study in a different way. Whatever you’ve done up to now has not gotten you your best score. Invest in a different plan. What you do between now and February will make the difference between getting into law school a year earlier or a year later. A year earlier means an extra year of earning a lawyer’s wages instead of a waitperson’s wages. It’s worth the investment. I personally am wary of the big expensive prep programs. I don’t believe you get your money’s worth. Look for a highly experienced coach. If your funds are limited, I recommend that you start with the Barron’s LSAT book that I wrote. I poured my 24 years of coaching experience into it. It goes deeper and has more effective strategies than most other books. Be sure you get the edition with my name on it. For another $120, you can also enroll in my STEPS to the LSAT program. This gives you a highly structured study manual, access to my advanced instructions and explanations, contact with study partners, and other study aids. If you do enroll in another coaching program, the Barron’s book and STEPS to the LSAT will help you get those in-depth insights that somehow are still escaping you now.